I could immediately relate this to the movie “Chak De”. In the scene where Kabir Khan, the coach for the Indian Women’s Hockey Team asks the team members to introduce themselves, each player introduces herself and the state she plays for The only exception being Vidya Sharma, who says she plays for India. Every single player in that team was a hyphenated Indian. 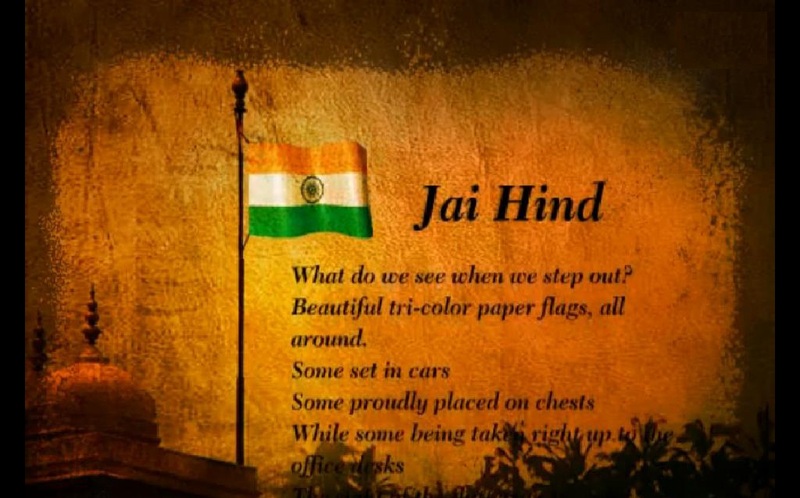 As I was watching the Republic Day parade this morning and listening to a host of panel discussions on different channels, I was struck by the fervour of nationalistic pride I heard in the commentary. I was also shaken by some strange criticism that was aired by television channels with regard to improving our Republic Day Parade standards. This led me to ask a number of questions to myself. 1. Is this sense of pride visible only on certain days? Republic Day, Independence Day? 2. What happens to this sense of nationalism or patriotism on other routine days? 3. Is this pride demonstrated only by waving out tricolour on 26th Januaru and 15th August? 4. 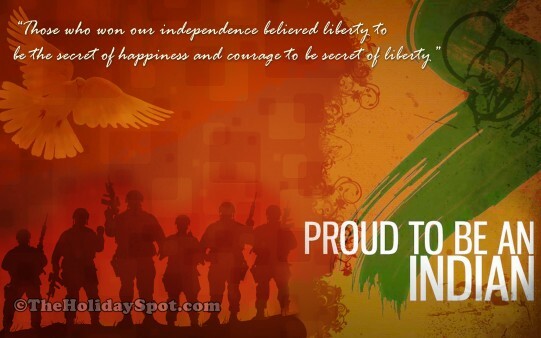 Last but not the least, are there other ways to show that we are proud Indians? Earlier, a large part of India used to treat both these days as just national holidays. 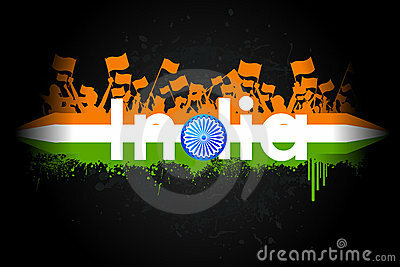 Republic Day and Independence Day were like an unexpected Sunday. Make the most of it…watch a movie, sleep, finish odd jobs around the house, catch up with friends, etc. Let somebody else hoist the flag! I am not saying people still don’t do the former. However, I have sensed more and more people participating in social/welfare/developmental activities on these two days. Very heartening and very inspiring! How do I sense this? Thanks to social media…one gets to see what is happening in different parts of the country, not to mention the world. I have always found older generations lamenting about the younger generation not respecting our country enough, not empathising with the way we got our independence or remembering our freedom fighters, etc, etc. Have we, as the older generation, done enough to instil a sense of pride about our “Indianness” among the younger generation? Persoanlly, I find a lot of the youth today are proud of being Indian. They may not appreciate our legacy, our cultural & historical inheritance. However, we are to blame for that. How many of us have shared that wonderful national heritage with our children by way of stories, travel, or movies? We may have done it in a very parochial sense, which never gives the holistic picture in any case. If we haven’t, then we are responsible for grooming another generation of hyphenated Indians. Our education system is another great leveller as far as building such a pride is concerned. The syllabus in our school and college must include various aspects of our legacy in a manner that will appeal to this generation. Remember, today’s youth and children are amazingly tech savvy, information savvy and well connected. They read, watch and observe. Hence, they also ask very different questions from what we did. We, as a society, must be prepared to answer those questions. “The world has undergone a change. My dear countrymen, the world has changed. Now India can not decide its future by remaining isolated and sitting alone in a corner. The economics of the world have changed and, therefore, we will have to act accordingly. Government have taken many decisions recently, made some announcements in the budget and I call upon the world and call upon the Indians spread world over that if we have to provide more and more employment to the youth, we will have to promote manufacturing sector. If we have to develop a balance between imports and exports, we will have to strengthen manufacturing sector. If we have to put in use the education, the capability of the youth, we will have to go for manufacturing sector and for this Hindustan also will have to lend its full strength, but we also invite world powers.